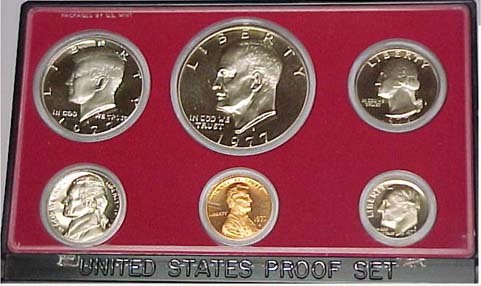 1977 Complete 6 Piece U.S. Mint Proof Set. 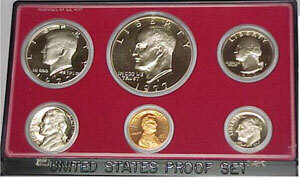 In this coin set you will receive the Penny, Nickel, Dime, Quarter, Half Dollar, and Ike Dollar. Comes in the original box.